Scotbake produces a comprehensive range of traditional bakery products with an emphasis on quality and freshness. 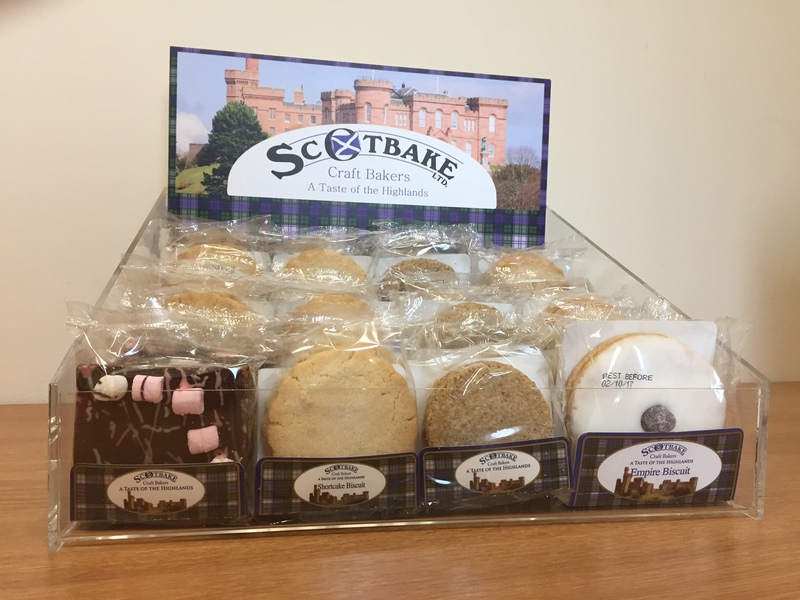 Our bakery produces bespoke own label products for a number of high street brands as well a comprehensive range of Scotbake lines. 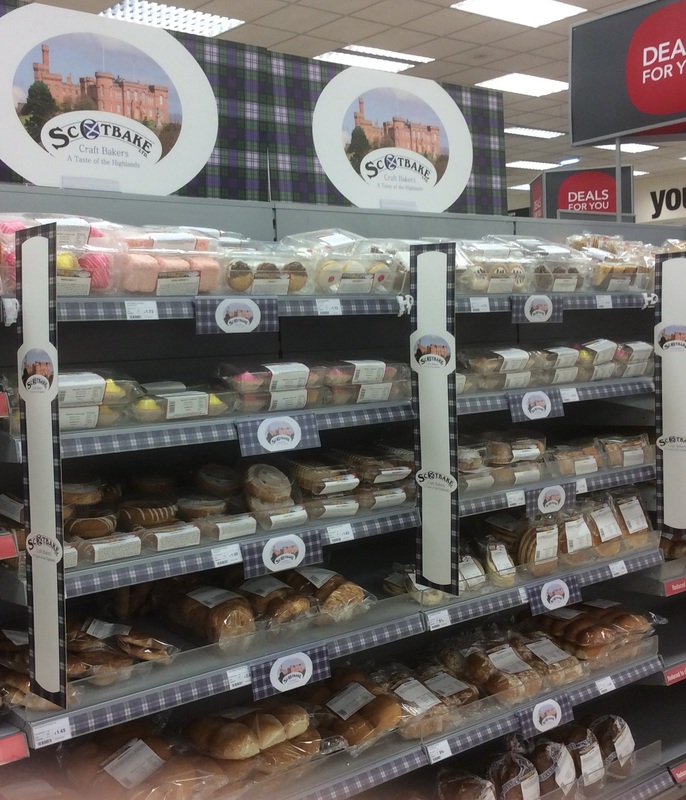 After the success of our range in Co-op Telford Street, we are delighted to announce that we have recently expanded our portfolio. 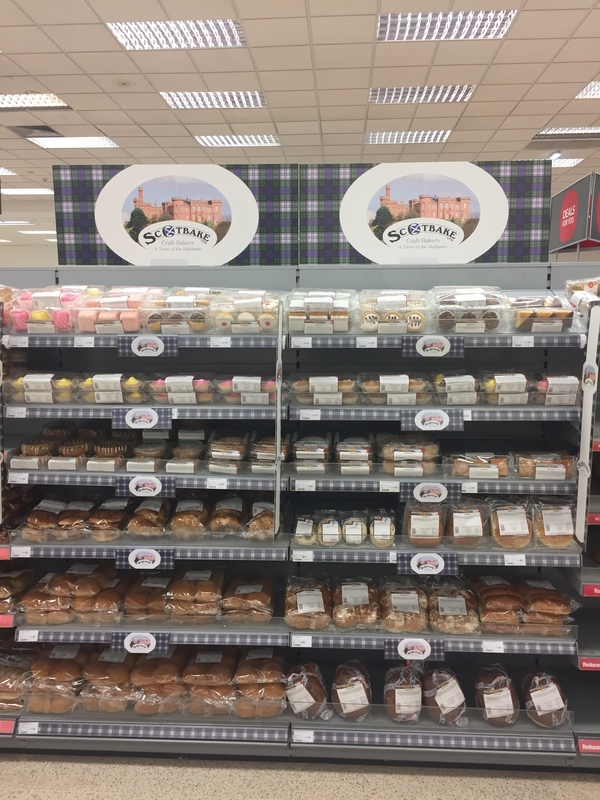 We now supply 7 local Co-operatives as well as 6 Martin McColls Stores with our delicious, freshly baked range of products. We have a select range of individually wrapped traybakes which are ideal for picking up on the go. Paradise Slice - Sensational new addition to our Best-Selling Range! All these are available individually wrapped in boxes of either 20 or 27. 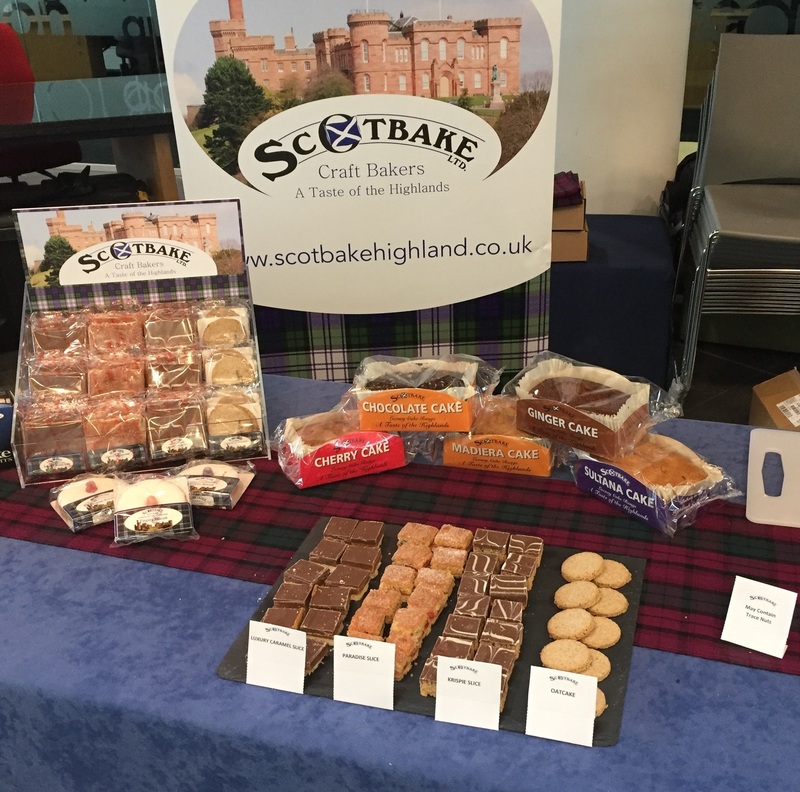 We had a wonderful time showcasing our products to everyone who came to the Highland Seafood and Produce Market on Saturday 3rd March. 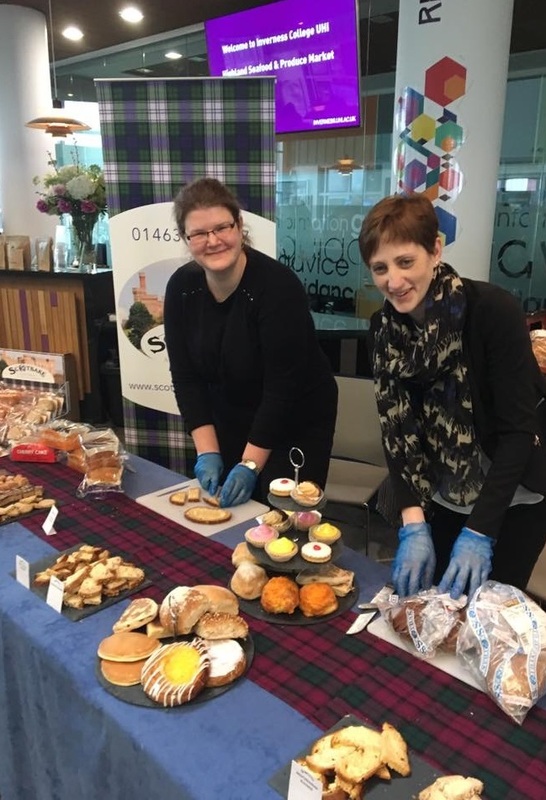 We know how good our products are, so it was great to be able to share them with people who had maybe never tried them before. The feedback we got was brilliant! Innovation and flexibility means that we can produce bespoke products in small and large quantities to cater for most customer needs. Please follow this link (pdf) to download our comprehensive product range catalogue. Congratulations to Kelly Gallie and Megan Dalgetty on completing SVQ in Food and Drink Operations SCQF Level 6. 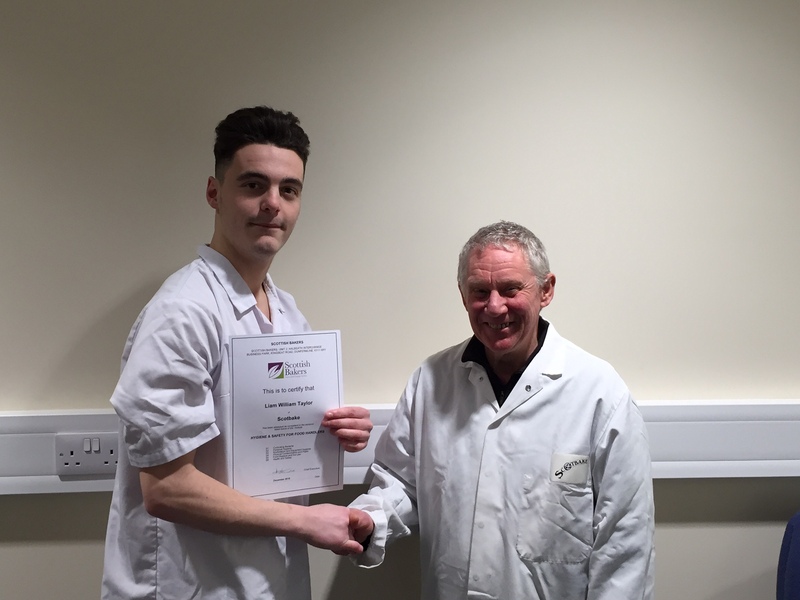 They have also completed their Level 3 Modern Apprenticeship in Food & Drink Operations. 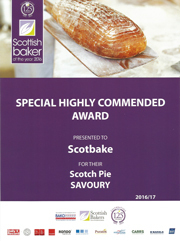 Congratulations to Liam Taylor on completing the Scottish Bakers Award for Hygiene & Safety for Food Handlers.